Trial attorneys’ pressures are enormous. They have a responsibility to win their client’s case. They participate in many pre-trial activities such as filing motions, challenging rulings, entering the discovery phase, and choosing a Jury. Morse Investigation Services offers Jury selection services, easing the burden of the attorney by discovering the important indicators of your Jury selection aspect of your case. Here is a small list of the items we look for when performing Voir Dire on a selected jury pool. We use the information collected above along with other outlying data in our custom algorithm that helps us alert you as the attorney as an indicator on who would be a favorable juror and who you would want to strike. We have handled Voir Dire cases all over the nation from racketeering and murder to civil litigation and multi million dollar jury awards. The technique for seating Jurors is known as voir dire, from the French, meaning to speak the truth. Attorneys representing both parties conduct an examination of potential Jurors to discover, for example, if they believe in the death penalty. In capital murder cases, potential Jurors who are against the death penalty cannot be seated. Attorneys, using voir dire specialists such as Morse Investigation Services, discover potential Jurors’ backgrounds and their prejudices regarding the nature of the case before them. If a line of questioning reveals a possible bias, a challenge for cause is issued to try and reject that potential Juror from sitting on the Jury panel. Besides a challenge for cause, attorneys are also allowed to make a finite number of preemptory challenges for no cause. Research done on voir dire has uncovered that 85% of adjudicated cases are decided during Jury selection. Morse Investigation Services voir dire specialists are experienced psychological assessments. 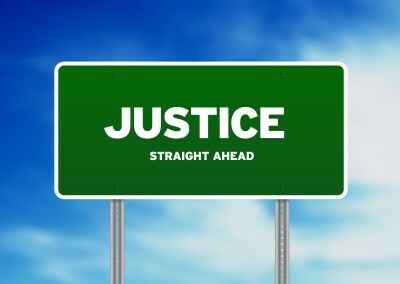 We understand what questions will most likely reveal a potential Juror’s bias for or against or for the clients case. Because a case rests as much on the Jurors seated as it does on the trial itself, a skilled application of the voir dire process is essential. Morse Investigation Services specializes in voir dire preparation, working with trial attorneys to analyze such factors as body language, facial expression, disposition, and personality traits. We consult with our clients attorney to develop a profile of their case and match potential Jurors, whose character traits, behaviors, and life experiences predispose them favorably to our client attorney’s case. Morse Investigation Services can also consult on expert witness testimony. We will investigate the expert witness’s professional background to find any lapse in professional conduct that can be grounds for a preemptory challenge. Experienced in the application of voir dire, Morse Investigation Services goes beyond the basic demographics, such as political affiliations, number of marriages, or even what type of lifestyle a Juror has led. Morse Investigation Services assistance in Juror selection allows you to get to the bottom of what motives a potential Juror’s decision-making processes. We can develop a Juror questionnaire that will uncover behaviors that indicate whether a potential Juror will be a good fit for the client attorney’s case. Because Morse Investigation Services are professional private investigators, we have an inside track on what makes human beings tick, under many kinds of circumstances. It’s just one of the many reasons we excel at voir dire preparation. With our skill and experience, we can anticipate how beneficial, or not, any particular Juror could be to your case.